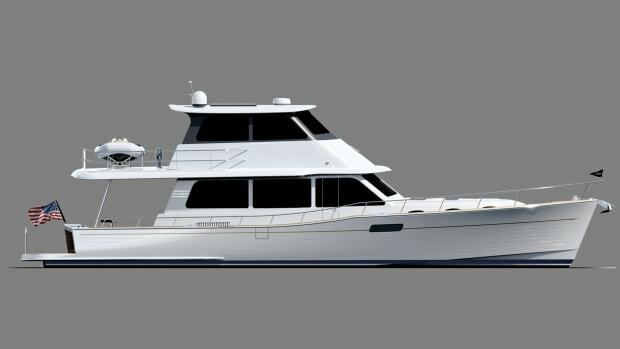 New Grand Banks 52 looks to balance tradition and modern performance. The Malaysian builder continues to strike an ideal balance of traditional looks in a thoroughly modern package. 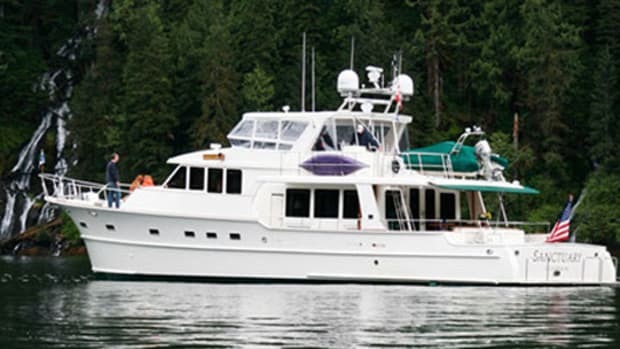 Since its inception in 1956, Grand Banks has been a groundbreaker in the marine industry, among the first to tap old-hand, Asian seafaring labor to craft high-quality motoryachts. 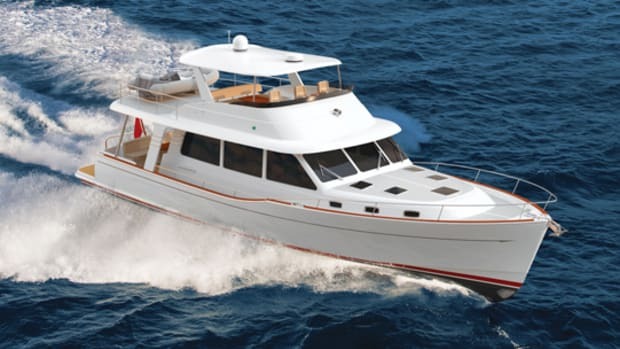 Their line of trawlers went on to define the long-range cruising category. 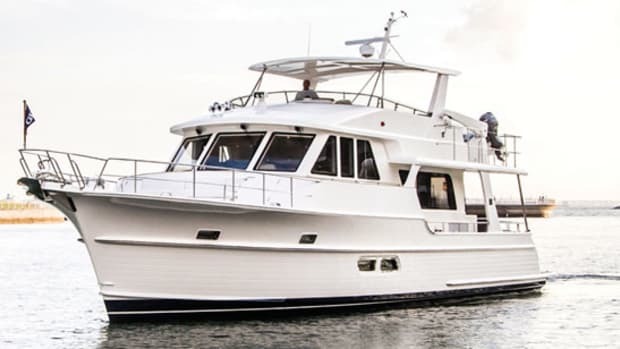 The launch of a 60-footer in 2017 marked a new beginning for Grand Banks under the auspices of Palm Beach Yachts founder Mark Richards, with immediate success. At press time, the Malaysian builder is onto their 19th build, utilizing expertise from Palm Beach. 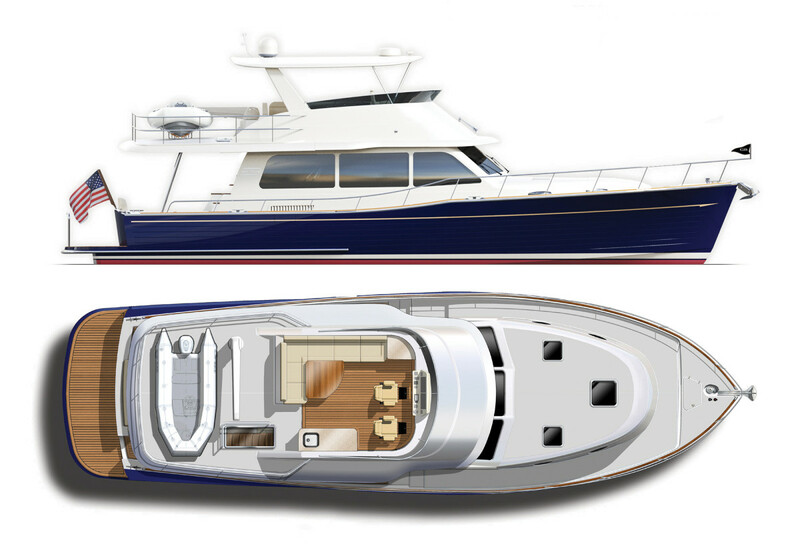 “When [we] were developing the 60, the premise was to have boats evolve of that thinking, with tech crossing over from Palm Beach,” said Global Marketing Director George Sass, Jr. 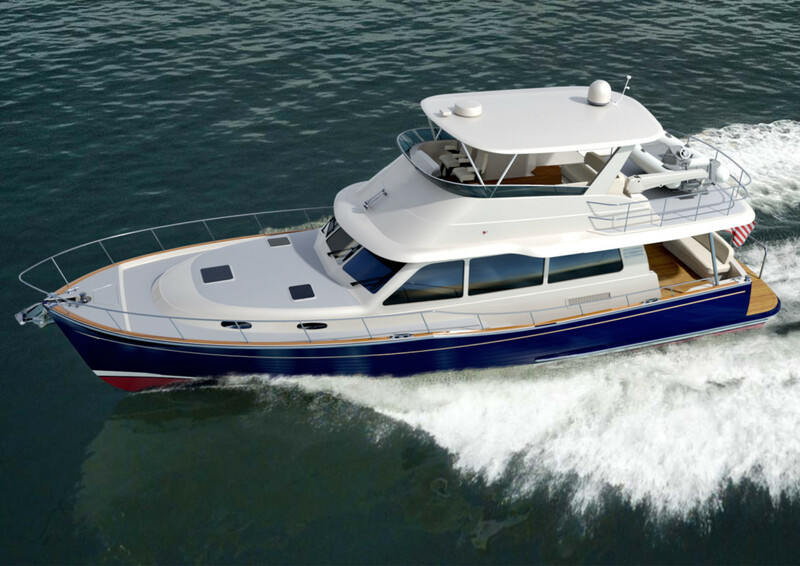 The 52 continues the push toward embracing the latest technology in a comfortable, long-range cruising package. 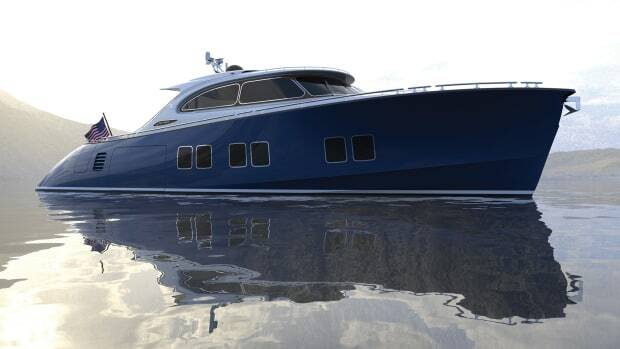 The carbon fiber deck, superstructure and hardtop sit atop a fully infused hull. 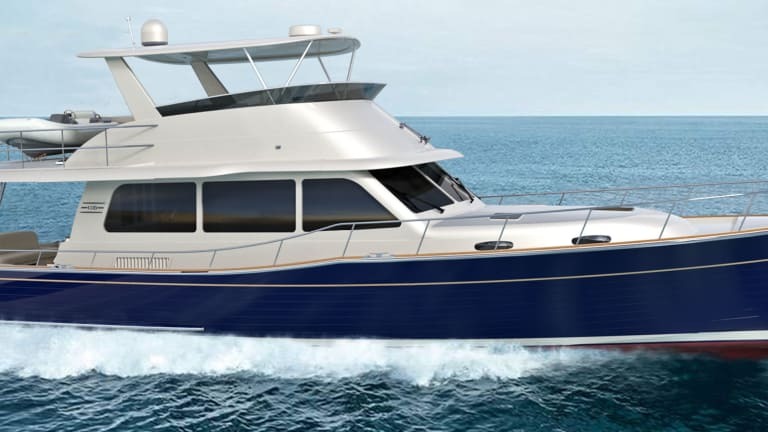 The brawny, warped hull design—combined with a massive, 898-gallon amidships fiberglass fuel tank—and relatively light structures above should give the 52 an ideal vertical center of gravity for a fine turn of speed, great handling and long legs. Sass told me the GB52 “looks to deliver the efficient performance at all speeds” and a respectable range. Matched to standard twin 725-hp Volvo Penta D11s, she’ll reportedly cruise in comfort at 27 knots and top out somewhere around 32 knots. 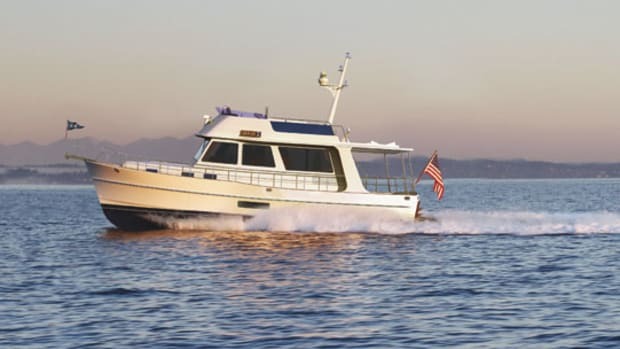 Her range is impressive as well: The GB52 can meander over 1,000 miles at 10 knots. Another plus about her hull design: it’s ready to run pods. ”We don’t need to alter the hull design for either [engine] package. Several of our 60s have been built with pods,” said Sass. Optional, 725-hp Volvo Penta IPS950s ($92,300) are part of a package that includes Volvo Penta’s intuitive, industry-leading Joystick Control and Dynamic Positioning System. I think most buyers will strongly consider this. 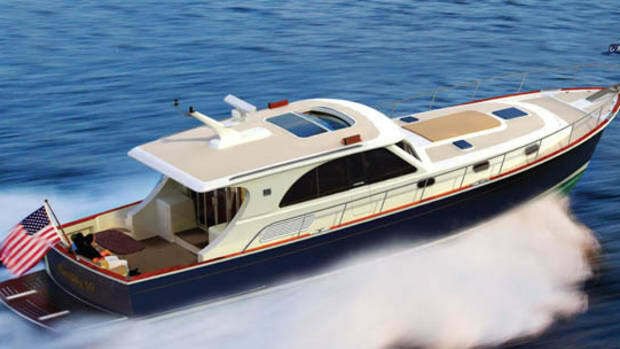 I’m also confident most buyers will appreciate the molded hullsides that resemble wood planking, the miles of teak in her cockpit and the book-matched, golden teak interior as standard features. It all goes so well with her contemporary salon that will be bathed in light via enormous forward-facing and side windows. 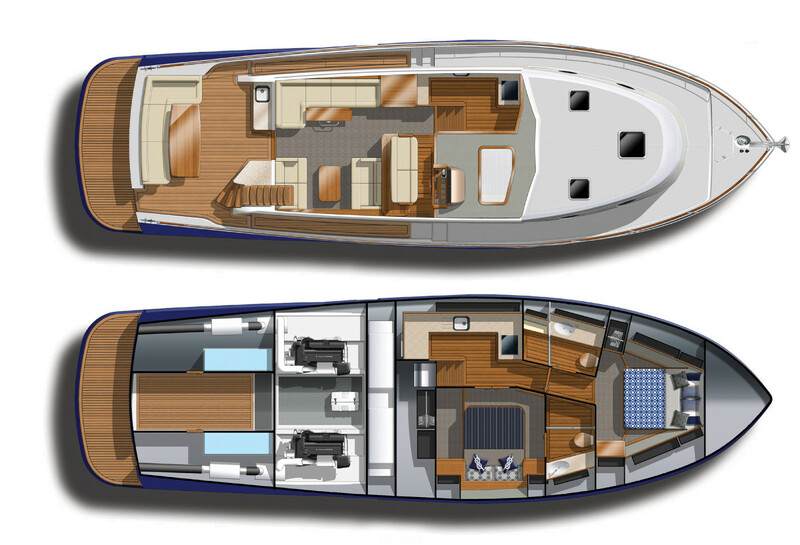 Below decks, two layout options are available: a two-stateroom configuration with lower galley, amidships master and forward VIP with a queen berth, or a galley-up, three stateroom layout with a forward master, a single berth to port and an adjacent twin bunk stateroom sharing access to the head. 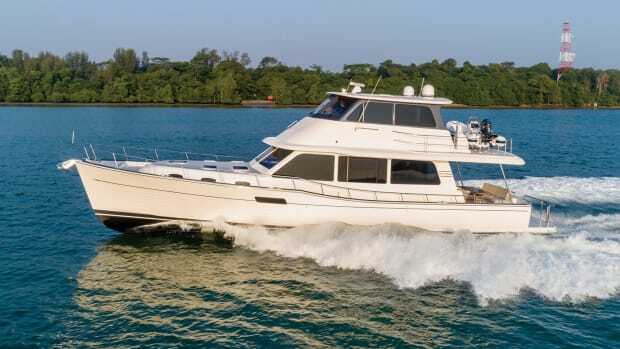 With an impressive list of standards including a 12-foot AB dinghy and Steelhead davit to launch her from her cradle on the flybridge aft deck, the 52 comes in at $2,650,000. Popular options will include a SeaKeeper and in cooler climes, the enclosed Skylounge. 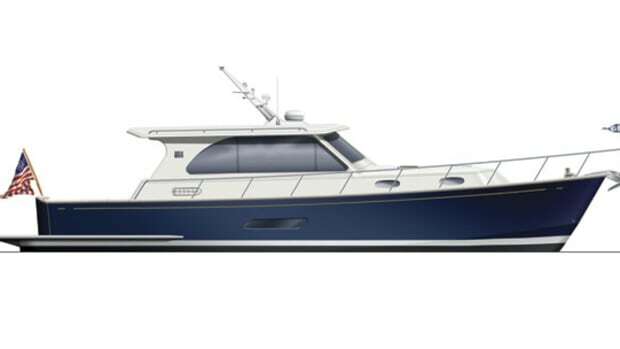 The GB52 looks to debut stateside at the Ft. Lauderdale Boat Show.